Aichoo provides an intelligent and fully-functional platform for data analysis and the data science process. It consists of a kernel, which resembles an organic brain, which continuously builds and improves internal representations of given data. 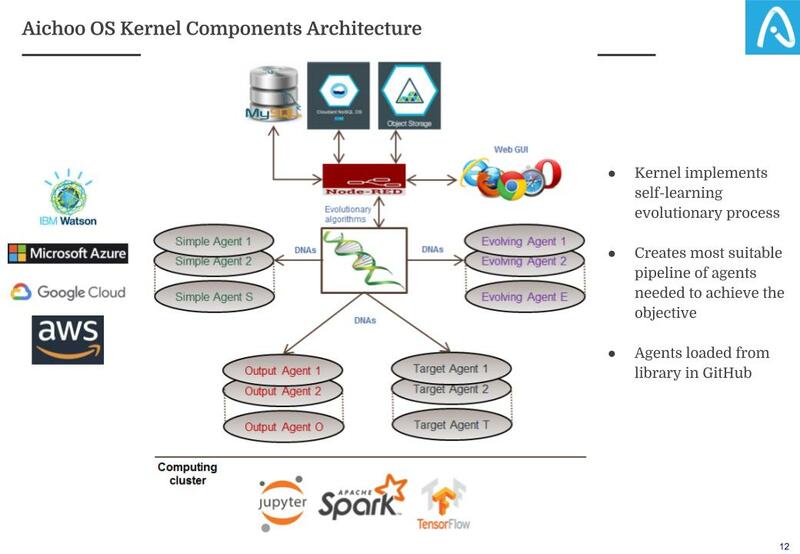 The kernel’s power lies in its ability to utilise the knowledge and expertise of agents connected to it. Therefore, Aichoo is both the kernel and a collection of customizable agents. An agent is any process that transforms data. Agent could be as simple as one that simply applies a basic math function to input data and produces an answer. On the other side of the scale, an agent could be a very complicated procedure which looks for and classifies images/videos and provides an output back to the kernel. All Azure/AWS/Google/IBM Watson etc. services can be connected to Aichoo as Agents, thus providing their expert knowledge. 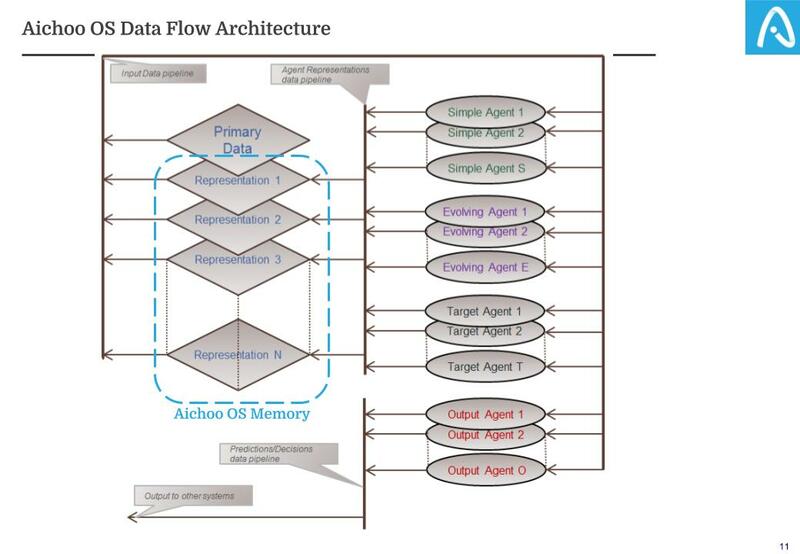 Any other data processing service can be connected as an Agent of Aichoo. 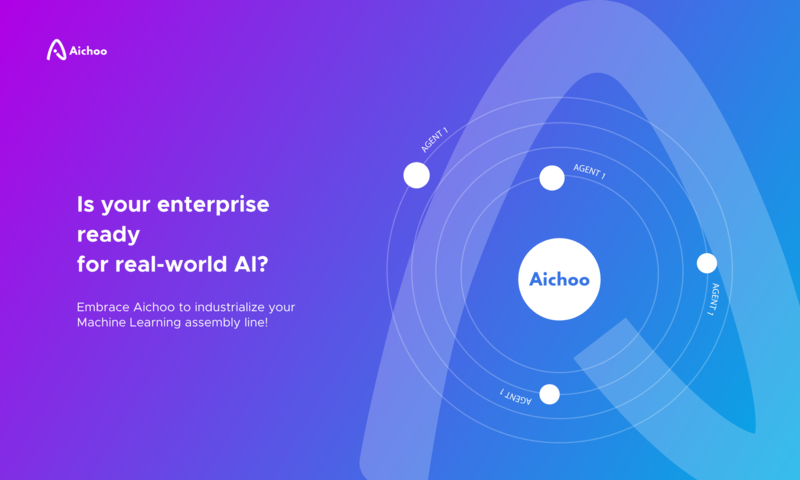 The more agents Aichoo has available, the more intelligent it becomes and more capable it is of creating better representations of all the data provided to it by an enterprise. Better representations naturally lead to better ability to make decisions on the data needed for fulfilling an enterprise’s objectives. Aichoo users no longer need to spend time and effort on the myriad of complex data science activities because all those are performed automatically by Aichoo. Users just point to data sources, make sure they have agents connected, provide computing power and specify the decision-making target. Advanced users of Aichoo may develop additional agents for specific data processing functions which have not yet been implemented. This can easily be done in Python within Aichoo by following provided templates, or connected as external services. More detailed documentation as well as agents’ code can now be found on our GitHub repository. Please visit our How To section for video tutorials.